Mini-game compilation due out two weeks earlier than planned. Nintendo has moved up the release date of Mario Party: The Top 100 in Europe from its previously planned January 5, 2018 to December 22, 2017. 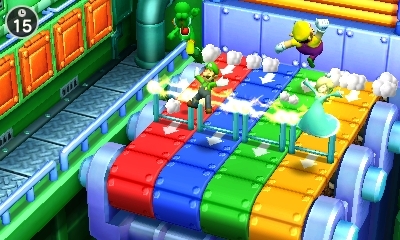 In North America, the 3DS party mini-game compilation launched on November 10. In Japan, it will launch on December 28. Play 100 different minigames—the largest number of minigames in a single Mario Party series game. Invite friends to join the party via local wireless or Download Play*, which lets up to four people play on their own systems with just one game card.